For those people who use well water in their homes, apart from the pump, there is one critical component that your water supply system cannot do without. This is a well pressure tank. This tank has 2 main functions. 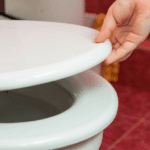 First, it acts as a water reservoir, storing some pressurized water that runs through your pipes as you open your faucets before the pump turns on. Second, the tank provides additional water in times of high demand so as to assist the pump to keep up. As such, it is important to get the best well pressure tank so that it can work perfectly to carry out the functions stated above. 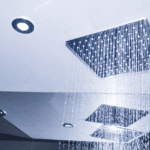 This article looks at some of the best ones in the market, with a view of helping you find the most suitable unit for your water system. Amtrol’s WX-202 is specifically made for use in residences because it has a tall and slim design that reduces its floor space requirements. 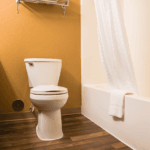 This means that it can easily fit along narrow plumbing lines in your home. Additionally, the unit has an appliance-like blue finish, which qualifies it to be installed anywhere in the house because it blends quite easily. Construction wise, this tank is made using high-strength steel, making its shell very strong and durable, which is ideal for protecting all the internal components from external damage. It also features a stainless-steel air valve that is welded rather than threaded so as to prevent any pressure loss. On the inside, a butyl diaphragm is used to separate the air and water chambers, and it is combined with a virgin polypropylene liner to create a 100% corrosion resistant barrier between the water and the metallic outer frame. Both are secured to the frame using a positive hoop ring seal, making it very reliable. In terms of volume, the WX-202 has a capacity of 20 liters and comes pre-pressurized at 38 psi from the factory. At the pressure switch, the cut in pressure should be set at 2 psi below this value, while the differential pressure between the cut in and cut out should not exceed 20 psi for the best results. Tall and slim design reduces its floor space requirements. Welded stainless steel air valve. Butyl diaphragm plus a virgin polypropylene internal liner that is 100% corrosion resistant. Pre-pressurized at 38 psi from the factory. WaterWorker’s HT-20B is a highly rated 20 gallon well pressure tank because it is well built, having a stainless-steel outer shell with a high gloss enamel finish for protecting it from the elements. This makes it very strong and durable. Just like the WX-202 above, this unit features an appliance-like blue finish and has a tall, slim design that makes it suitable for residential use. This is because the color makes it blend easily in homes while its design means that it occupies very little floor space. On the inside, the tank features a butyl diaphragm, which works very efficiently because it is designed to flex rather than to stretch and crease. This part separates water from the air reservoir, with the air compartment coming pre-charged at 25 psi. In the water compartment, a polypropylene liner is used to keep water from coming into direct contact with the stainless-steel lining, and this keeps the tank from rusting, while also maintaining the purity of the water inside. Apart from this 20-gallon capacity tank, WaterWorker also has a similar model in various sizes, which include 14, 26, 44, 62, 86- and 119-gallon tanks, giving you the option to choose your most preferred size for your well water supply system. 20-gallon capacity, but the model is available in various sizes. Appliance-like blue finish with a tall, slim design that occupies very little floor space. Polypropylene liner in the water reservoir. Comes pre-charged at 25 psi. 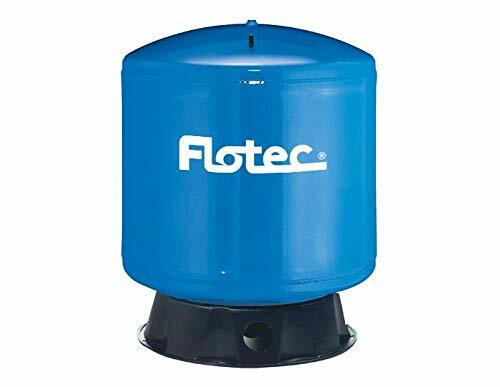 Flotec’s FP7120 is a very tough pressure water tank that is made using heavy gauge steel, making it quite thick, and capable of withstanding a maximum pressure of 100 psi. On top of the metallic body, this tank has a polyester finish that is applied electrostatically, in which this method bakes it permanently onto the surface, making it resistant to the elements. On the inside, the unit has a capacity of 35 gallons and has a 40-psi pre-charge, which is nitrogen-rich, resulting in a very good performance. It also has a liner on the water compartment that ensures water never comes into contact with the metallic body, preventing rusting and water contamination. This large capacity provides a greater relief for the pump because it increases the drawdown, reducing the pump cycles in the process and this leads to a maximum system life. For easy maintenance, the FP7120 features an easily removable air/ water separator and has a conveniently placed air valve that can be easily hooked up to increase the air pressure inside. Other features include an appliance-like finish in blue color and a vertical design orientation, which means that it occupies very little floor space. Made using heavy gauge steel, making it capable of withstanding 100 psi. 35-gallon capacity with a 40-psi nitrogen-rich pre-charge. Easily removable air/ water separator. Armtrol’s WX-202XLD is very similar to the WX-202, featuring an appliance-like blue finish, with a tall, vertical design that requires very little floor space for installation. On the inside, this unit has a butyl diaphragm that separates the water and air chambers for effective pressurization, with the air compartment coming pre-charged at 38 psi. However, if this is not enough, the tank has a welded air valve that you can use to increase the pressure to a maximum of 150 psi. The welded design performs better than a threaded one because the latter can leak and thus, lose air pressure over time. In the water compartment, a 100% corrosion-resistant virgin polypropylene liner is installed so as to prevent water from coming into contact with the stainless-steel outer frame, and this ensures there is no rusting or corrosion, which would damage the tank and contaminate the water. The polypropylene liner and diaphragm are secured in place using a positive hoop ring seal for reliability and consistent performance whenever pressurized. However, this tank is quite expensive as compared to the WX-202, but this is mostly attributed to its 26-gallon capacity, which is slightly bigger than the cheaper WX-202. Appliance-like blue finish with a tall, vertical design. Welded valve eliminates any chances of air leaks. 100% corrosion-resistant virgin polypropylene liner. Positive hoop ring seal for securing the diaphragm and liner. 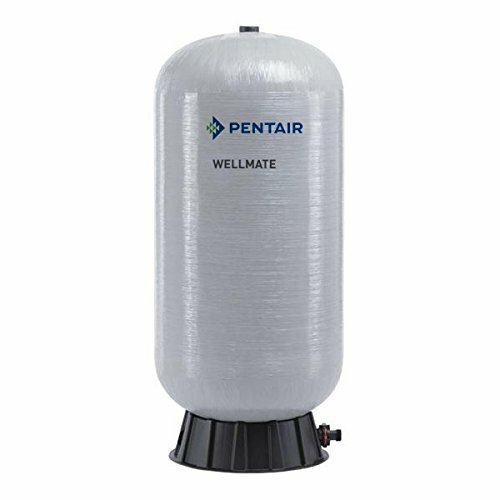 Wellmate’s WM-9 is a 30-gallon pressure tank that has a fiberglass construction, which eliminates any occurrence of rust, whether on the inside or outside. This fiberglass body is epoxy-resin sealed on the outer side, giving it a dent and scratch-resistant surface that is virtually maintenance-free. Even though fiberglass might not be as strong as stainless steel, such construction also has the benefit of being very lightweight, and this makes the WM-9 weigh less than half the weight of steel tank. Such a light unit is very suitable for residential and commercial applications because it is durable and very easy to install. Internally, this tank features a heavy-gauge polymer-built air cell that is fully replaceable for easy maintenance and comes pre-charged at 24 psi, with the ability to operate at a maximum of 125 psi. 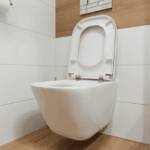 Other features include a sturdy, molded polymeric base that is corrosion-resistant as well as impact proof, and a bottom-placed inlet/ outlet one-piece drain pipe that is made of high impact PVC for durability purposes. Epoxy-resin sealed outer layer for maintenance-free use. Heavy gauge, polymer-built air cell that is fully replaceable. Comes pre-charged at 24 psi, with a maximum operating pressure of 125 psi. One-piece inlet/ outlet drain pipe that is made of high impact PVC. 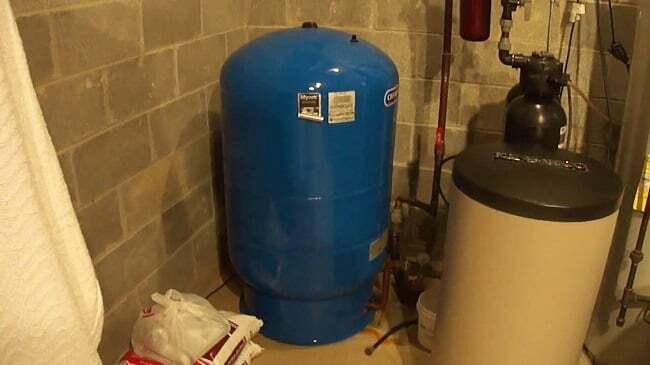 Air-over-water tanks: these are the older types of well pressure tanks and they have only one compartment inside that houses both the water and pressurized air. The problem with this type is that over time, the pressurized air dissolves in water and this reduces the pressure inside. Diaphragm tanks: diaphragm tanks incorporate the use of diaphragms, which separate the air and water chambers so as to avoid air from dissolving and thus, maintain the water pressure. The problem with them is that the diaphragm may detach under high pressure if it is not secured tightly. Bladder tanks: these utilize a bladder or an air cell inside the water reservoir instead of a diaphragm. 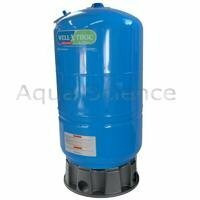 This ensures that the water and air are separate and eliminates the problem of detaching, making them the best option to consider when buying a well pressure tank. There are two ways at looking at the capacity factor. If you want fresh water that is being pumped straight from the well, then you should buy a small capacity tank because it will give you a smaller drawdown. However, this will cause a lot of strain to your pump because it will be running after very short intervals. On the other hand, if you prefer less energy consumption, then you better buy a bigger tank because it will hold more water and thus, require fewer pump restarts over time due to the large drawdown. A pressure tank’s construction mostly focuses on its outer shell, which is usually made out of stainless steel. Stainless steel makes these units very sturdy and capable of withstanding falls or even small dents without cracking open. The problem with such tanks is that it makes them very heavy and thus, harder to handle, especially during installation. Stainless steel may also rust if exposed to the elements and therefore, the tank must be regularly maintained so as to ensure the metallic surface is sufficiently coated to prevent wear and tear. On the other hand, fiberglass pressure tanks are extremely durable and do not rust even when exposed to the elements. 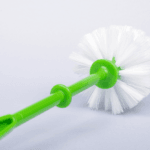 Additionally, they are very lightweight, making them very easy to handle during installation. The only problem with fiberglass is that it may crack open much easier as compared to stainless steel if it falls or is hit by a sharp object. Another thing to consider is the coating applied to these materials. For stainless steel, whether it’s coated using polyester, high gloss enamel or any other lining, this layer must be waterproof so as to protect the underlying metallic surface from rusting. Fiberglass tanks must also be coated externally but not for waterproofing. This layer is important for additional strength against dents, scratches and other minor defects. Pre-charge basically defines the air pressure that the tank comes bearing in its air chamber from the factory. It is important to know this value so as to determine if the pressure is suitable for your water supply system or if it needs any increase or decrease. It is also important to know the maximum operating pressure so that you do not exceed this value as you increase the air pressure. 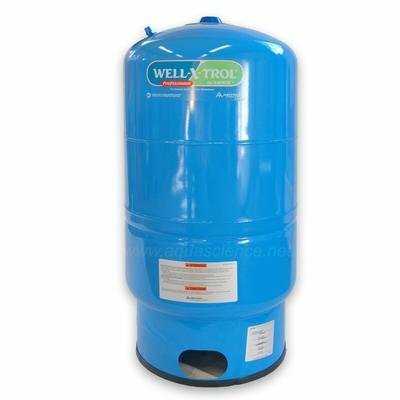 Pressure tanks are vital components in a well water supply system and as such, you must have the best well pressure tank so that you get water constantly and at the right pressure all around your home or commercial building. After going through the content above, selecting the most ideal tank should not be such a hard task because every important detail about these products is clearly laid out for easy comparison and selection.